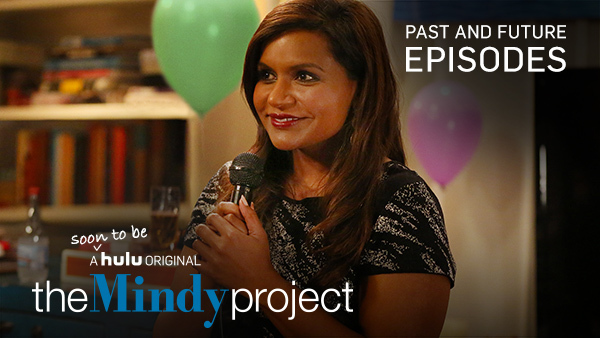 Hulu Picks Up The Mindy Project For Season Four As Hulu Original Season - Are You Screening? The world of television keeps changing, and fans of several other canceled shows can start biting their nails anew as Hulu picks up The Mindy Project for a fourth season to air exclusively on the streaming network. One of several shows with huge, and hugely loyal, fanbases to get cut this year, The Mindy Project is not only a very different style of show, Mindy Kaling is a different style of comic. The result is that while perhaps not for everyone, the show quickly gained a solid support base of superfans. Not only has Hulu picked up the show, but a 26-episode order is a pretty serious commitment for a streaming service home, and one that keeps the ball of change rolling. Check out all the info below, and stay tuned for news on dates. Hulu announced today that it has ordered season four – 26 new episodes – of the critically acclaimed series The Mindy Project. The series will join Hulu’s Original Programming slate in a new agreement with Universal Television.